Mary Elizabeth McGlynn has had a wide-ranging career spanning voicing and directing various roles in anime series ranging from Cowboy Bebop and Ghost in the Shell to voicing characters in video games such as Silent Hill 2 in the HD Collection and in the Final Fantasy series. You can check out Mary Elizabeth McGlynn at her website, tweet her on Twitter, follow her on Instagram, and like her on Facebook. This interview has been edited for clarity and content. Operation Rainfall: My name is Quentin H. with Operation Rainfall, and we are here at Dragon Con. And you are? Mary Elizabeth McGlynn: I am Mary Elizabeth McGlynn. OR: I have to ask- how is Dragon Con going for you this year? MEM: Oh, it’s amazing. I came here three or four years ago and it’s just – it’s grown so much. Even in just four years. There’s just nothing like it. You walk around the streets and there’s musicians, you pass a trombone player playing Star Wars music, bands in the streets, and everybody’s in costume. And it’s a really positive, wonderful atmosphere. I love it here. It’s great. It’s all the craziness of Comic-Con without the madness, if that makes sense. OR: So you’ve had a wide and varied career. Just taking bits and pieces from it – how did you get involved with both voicing the role of Julia and doing ADR directing for Cowboy Bebop? MEM: Well, I was working for ZRO Limit Productions as an actor. And they knew that I had done – I got an MFA [OR Note: Master in Fine Arts] in acting and I’d done a little bit of directing in college and grad school- so they just had too many shows and not enough directors. So, they asked if I wanted to direct, I said ‘Yes’, and they showed me the opening sequence [for Cowboy Bebop] with Tank!. I just thought ‘Wha? Really? You’re going to give this one to me?! Okay!’. And I didn’t know what I was doing. It was Steven Bloom’s first leading role [OR Note: He voiced Spike Spiegel], and we just tried to make it – we thought nobody would ever see it. Because it’s just – it was a show, a lot of anime wasn’t out at the time, and there wasn’t Adult Swim, there wasn’t really a venue on American television to watch dubbed anime. And I’d never seen anything like it. And I just thought ‘Wow, nobody’s ever going to see this. So, let’s just make something that we love, that we enjoy.’ Because I didn’t know what I was doing. And so I wanted to make it as true to the source material as possible. And it was really Westernized in the way that it looked, what it was about – it was a sort of a love story to cinema and film. We just had so much fun with it. So, we just made it something that we really wanted to watch. Julia was one of the driving factors behind the plot of Cowboy Bebop. OR: Was this your first experience with anime? MEM: No, it was my first experience directing, but I’d been on a number of shows. I’d already done Fushigi Yuugi at that point and I think – we hadn’t started Ghost in the Shell yet. But I’d been part of [Perfect] Blue with Lia Sargent and Kevin Seamour directing, it had Bridget Hoffman, Wendee Lee, and Lia Sargent. So, they were ‘Kevin’s Angels’ and I was the fourth random ‘Angel’ that came in to direct for them. OR: Using Cowboy Bebop as an example, how do you balance voice a role and directing during localization for an anime or a video game? MEM: Well, the thing was- Julia was just talked about for a number of episodes. We didn’t see her until the last three episodes, I think. So, I became – I fell in love with Steven’s voice as Spike. And I thought ‘Damn, if we ever see Julia, I’m gonna play her.’ Because she was just – I was so in love with Spike, it had more to do with Steven’s performance than anything else. And then I’ve directed myself – after awhile, you get used to self-directing. And I think Yutaka Maseba [OR Note: he was a producer for the series] might have been there for those sessions when I was doing Julia, but if not, then it was just me – I probably was hyper, hyper-critical at the time. I still am. I just wanted to make it as good as I possibly could. OR: You’ve also voiced several characters from the Final Fantasy series over the years dating from Dirge of Cerberus[: Final Fantasy VII] in 2006, Nora in Final Fantasy XIII in 2010, and Hydaelyn in Final Fantasy XIV: A Realm Reborn in 2013. How did you get to voice so many different characters from Final Fantasy? MEM: I don’t know, just casting. I got lucky, I guess. I just- I’m very grateful to the casting directors to still be a part of it. It’s like doing work for Blizzard. I’ve done a lot of different characters in World of Warcraft and Heroes of the Storm, and Diabolo 3. And they just like me, I don’t know. I’m very grateful they think I can do multiple roles in the same stuff. Nora Estheim (above, right) was the mother of Hope in Final Fantasy XIII. Mary Elizabeth McGlynn also voices Hydaelyn, the Mothercrystal (below) in Final Fantasy XIV: A Realm Reborn. OR: So they keep coming back to you? OR: Taking another video game – Silent Hill 2. You both voice directed and voiced Maria and Mary in the HD remake. That was actually a title where they offered the original 2001 dub and the redubbing that you participated in [as alternative tracks in the final released game]. MEM: Yeah, we coupled that with Silent Hill 3 as well. And it was interesting because I’d done all the singing for the Silent Hill songs from Silent Hill 3 on. And I’d never actually seen where they went on the game because I was too chicken to play it, I was too scared to play it. So it was fun to direct it and all the sudden my voice would come up singing, and I’d ‘Ohhhhh, cool! That’s where that song went in the story and I see where it fits and where it lands in terms of the context of the story.’ And it’s really haunting and amazing, and I have to take my hat off again to Akira Yamaoka and the guys who did the sound design on it. Maria was voiced by Mary Elizabeth McGlynn in the Silent Hill HD remake. OR: Maria and Mary are almost two sides to the same coin. What about the roles did you find challenging? MEM: It was ADR, so I was ADR’ing to someone else’s performance. That’s always a challenge, especially something that naturalistic and weird and spooky and quirky. The challenge for all of that – dubbing the entire game was matching very interesting and quirky and unique performances done by the original [cast]. There was a problem using the original voices at first, which is why we were asked to dub it. I was very grateful that they trusted us and I think it was a natural fit because nobody has more respect for Silent Hill than I do. And Akira. And Tomm Hulett [OR Note: Producer for Silent Hill series]. And people that were involved in production. And so we’re really honored to be a part of – and I know it was a very controversial time. But I hope that people enjoyed both versions of it. Mary Elizabeth McGlynn also voiced Mary in the Silent Hill HD Collection remake of Silent Hill 2. OR: Monica Tylor Horgan actually was the original voice actress for Maria/Mary. Did her performance influence how you interpreted these characters for the HD Collection remake? MEM: It wasn’t her performance, really. It was just the context of the piece. And the haunted feeling of it. Being imprisoned – the whole thing to me is a Jacob’s ladder. It’s just [that] Silent Hill is just that limbo where you don’t know if you’re actually dead or alive. We played to more of the truth of the situation than we did trying to recreate someone else’s performance. She did an amazing job, and I’m not her. I can’t recreate her performance. So I brought my own voice to it and I couldn’t compare the roles. And whichever one you like, watch and play! It’s all good. OR: In 2014, you directed a pachinko game in Japan. MEM: I did! Well, I directed it in Santa Monica, but yeah, it went to Japan. We did a couple of them for Devil May Cry, which is really fun because I have been to the pachinko halls in Tokyo. And it is *laughs* an unbelievable sound of all the balls and the bells and everything else. And [I knew from] directing Naruto for so many years, Lady Tsunade was always in the pachinko halls. So it was really fun for once for me to get in and direct something that if I was in Tokyo for an extended period of time, I would definitely have gone and played. OR: How do you direct a pachinko game, and how does it compare to directing video games and anime? MEM: Well, I consider it – there’s a great slot machine in Vegas called Fireball, and every time you get that bonus, it goes “FIREBALL!” and ‘fishooooosh!’. And so we looked at certain moments -Kyle Hebert, I think, was the narrator as well as being enamored by the rules. So, I would say ‘Come out, you gotta bring – we’ve gotta get people over to the machine to spend their money in the machine. So we’ve gotta make it exciting!’ And I love gambling, so it was kind of in my wheelhouse because I really enjoy – you gotta hear ‘FIREBALL!’ and go ‘Oh, what’s that? I wanna play that!’. So, we tried to make certain moments that exciting so that people would come. And there are short little snippets of scenes. And it’s really all taken from the game we did. So we weren’t expanding on anything by any means. We were just reducing the game into certain microscopic moments that people would hear when they got a bonus. I’d love to go to Tokyo and see what it’s like. Somebody actually sent Steven and I a Cowboy Bebop pachinko game. And it’s got all of Yoko Kanno’s music and everything else. And it’s a legit pachinko parlor game. It’s pretty fantastic. Devil May Cry 3 Pachinko Machine. OR: These were Devil May Cry ones? MEM: Yeah, I think it was Devil May Cry 3. And we got most of the cast back in it – it was really fun. OR: Have you ever played your own pachinko machine? MEM: No! Because I haven’t been to Tokyo in seven years, and we don’t have pachinko in the States. So yeah, no. Someday, though. “It’s great to do voices, it’s great to learn how to use your voice, and in as many different ways as possible- but at the end of the day, you’ve got to be an actor. So be a good actor. OR: Is there a character you’d love to lend your voice to? MEM: Well, anyone that pays me to. *laughs* We all go to where we are paid to. Superheroes are fun, super-villains are even more fun. But there’s not any – Batman. I’d love to play Batman. We haven’t had a female Batman, for some reason. I always say that – ‘I wanna play Batman!’ Because there really aren’t any – I can think of. I’ve gotten to play so many unbelievable roles already. So, I’m just grateful for the ones I’m playing now, and I pray that they keep bringing me into playing new ones. MEM: Because they’re more – their convictions are stronger. They know what they want. Very clear with their convictions, and they usually are having a pretty good time doing it. Heroes are conflicted, have to go through an arc of loss and everything else. By the time we get to meet the villains, like Governor Pryce on Star Wars [Rebels] – she has no redeeming qualities whatsoever. She just wants power. And she’s ineffective at gaining that power. Which fuels her anger. And it’s this vicious circle, and she will do whatever she needs to do to get the power. And it’s very simple convictions of what she wants. And it’s a lot of fun to play. Governor Pryce from Star Wars Rebels. OR: Are there any upcoming projects that you can talk about? MEM: I’ve switched over from anime to directing original animation. I directed Penn Zero: Part-Time Hero, Billy Dilley[‘s Super-Duper Subterranean Summer], [and] now Tangled: The Series for Disney. I’ve got two new shows over at Dreamworks that haven’t been announced yet. And I’m directing Dorothy in the Wizard of Oz for Warner Bros.
And I’ve taken over [directing] Season 3 of Bunnicula from Kristi Reed because she’s taking over the world. *laughs* So she very graciously let me take a shot at taking over for Season 3 for Bunnicula, which is such a great show. I’m on OK K.O.! [Let’s Be Heroes] a new show for Cartoon Network. I play Dynamite Watkins, intrepid reporter. And two new shows that I can’t talk about – [but] I can’t wait until they’re announced, because I think they’re gonna blow some minds, which is really fun. So that’s sort of what I can talk about. OR: Last question – Do you have any advice for aspiring actors, actresses, or directors out there? MEM: First and foremost, be an actor. Wherever you are, take acting classes. Go to https://iwanttobeavoiceactor.com/, that Dee Bradley Baker has put together, which is one of the greatest resources for how to become a voice actor – what it takes to be a voice actor, what the life is like, and if you get through all of that material, then become an actor! It’s great to do voices, it’s great to learn how to use your voice, and in as many different ways as possible- but at the end of the day, you’ve got to be an actor. So be a good actor. And for me, I think – my directing techniques stems from being an actor. So every director’s technique is gonna be different. Find your own, find your voice, and figure out how to – as a director, for me, every actor has a key. And every key is different. So you have to adapt to every single actor that comes in, in order to keep them comfortable. To keep them in a safe place, so they can feel creative and feel like they are in a safe space to fail. Because you have to take chances when you’re in the booth, and trust us that we will not make you look silly by any means. So learn how to adapt. Figure out fast how to find the key to every different actor, and then communicate that as clearly as possible so you can get what the producers behind you need. OR: Thank you very much for meeting with me! MEM: My pleasure! Thank you, I appreciate it! A special thank you to Dragoncon and Mary Elizabeth McGlynn to the interview! 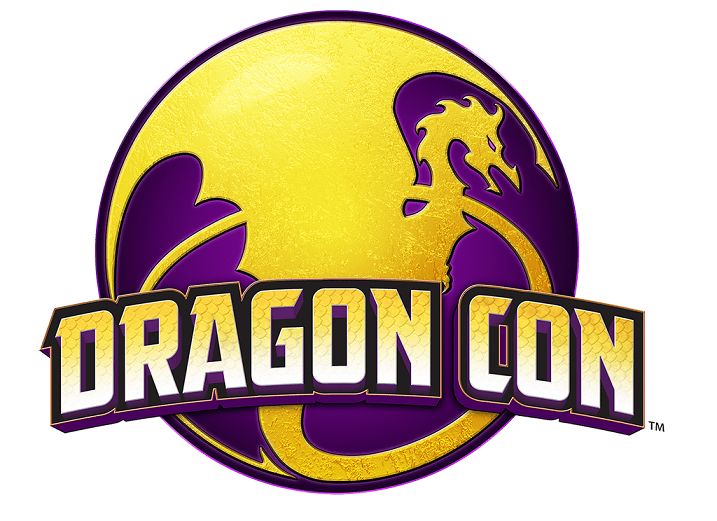 The dates for Dragon Con 2018 are from August 30th to September 3rd, 2018 and tickets are currently on sale. Do you have a favorite role of Mary Elizabeth McGlynn’s? Have you ever tried playing pachinko?